Maybe I chose these songs because they were sung in English, or maybe because it was the Olympics starting next week… But no, it’s only because they happened to be on my playlist. I am not naturally a fan of loud punk bands, not in English, or French or Chinese. 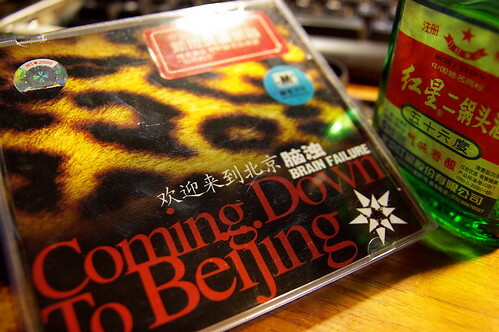 Occasionally, I’ll hear something punky that I like, or be recommended a band, like this week’s Brain Failure, perhaps one of the best-known bands to come out of Beijing (they toured the US and Europe). So, the first song, Come Down To Beijing, which is what the world is going to do on Friday. Secondly, Call The Police, because it is a really good energetic song. We hope that the first song topic will happen smoothly, and that they won’t need to get to the second (ha-ha).